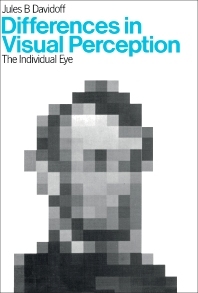 This book is organized into five chapters and begins with an overview of differences in perception that are in operation for only a short time, emphasizing the distinction between short and long-term effects and at what point “short” becomes “long.” The reader is then introduced to the development of perception, touching on topics such as the nature-nurture issue, visual acuity and visual discrimination, color-vision, space perception, and attentional processes. The ambiguity of the stimulus is also discussed, along with the perceptual theory known as “transactionalism,” how the visual world is interpreted, and the nature of the input to the visual system. The theme that runs throughout this work is the fact that the same external input does not necessarily bring about in all of us the same perception. This book will prove useful to students as well as established researchers interested in visual perception and cognition.